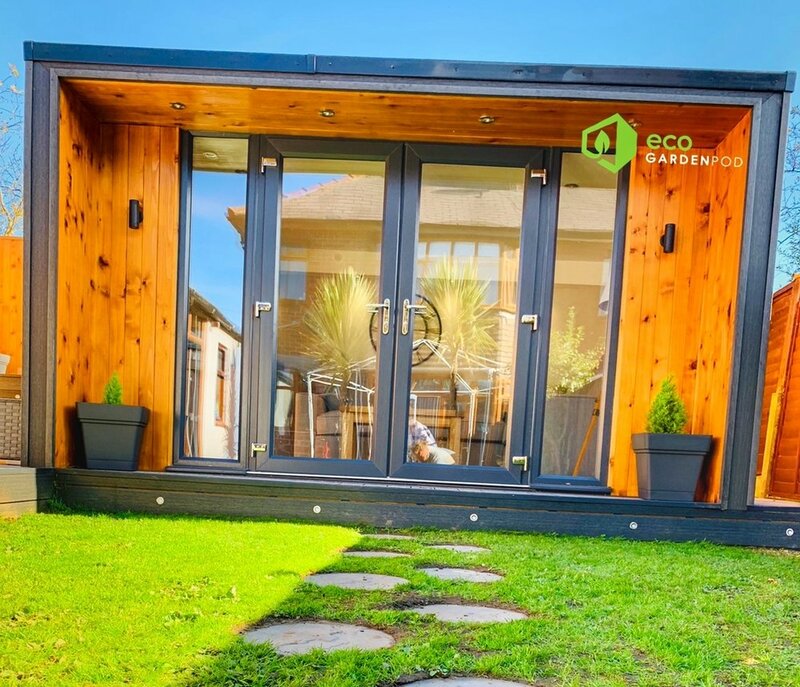 Eco Garden Pod’s are available to suit all types of lifestyles to give your home that extra required space instead of the hassle of moving house or even renting office space. With the amount of heavy traffic on the roads and expensive business rates, An Eco Garden pod can make life much more simple. A home office, playroom, bar or a place to relax and unwind away from it all. A stunning insulated garden pod has given us great satisfaction to make these available throughout the U.K.
40% of our customers have used the space for a home office. We have also seen a rise in home gyms that make it much easier and more frequent for people to exercise at home. We have also created Garden Pods for music rooms, beauty therapy and chill our areas. Designed as a self-contained building to use all year round. 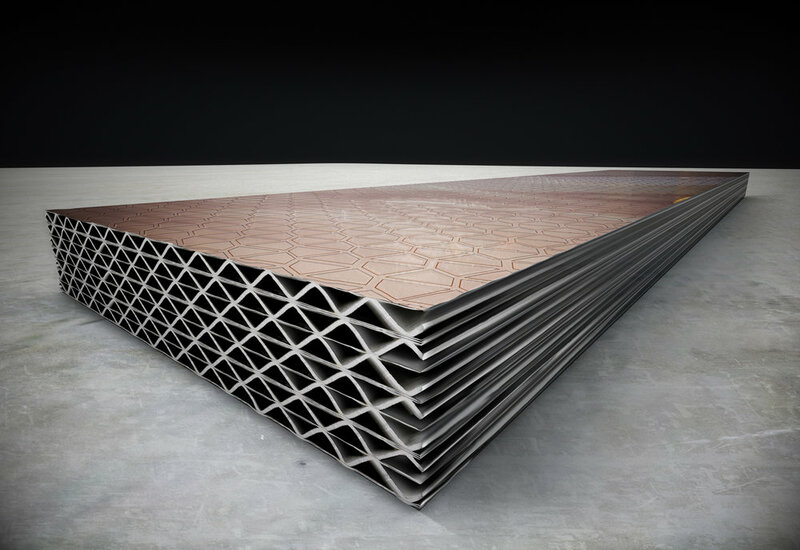 The innovative construction utilises purpose designed modular composite wall construction with a core of high performance insulation to keep the space warm and energy efficient, with a warm weatherproof roof for year-round protection from the elements. With a range of different sizes, two styles, and four different colours allow you the perfect complement to your garden. Up to 3 times extra wall insulation than timber Garden Rooms. Weather proof High performance EPDM Firestone single ply roof and composite wood walls. Eco Garden Pods are covered by a 10 year warranty against warping, cracking, splitting, rotting and fungal decay caused by manufacturing defects, when subject to normal use. Do I need planning permission, for a Garden Pod? In most cases you will not need planning permission to erect a garden pod - if the eaves height is under 2.5 and it doesn’t project beyond the front wall of your house. In general, adding a stand-alone, single storey garden room to the rear or side garden is usually allowed under Permitted Development. 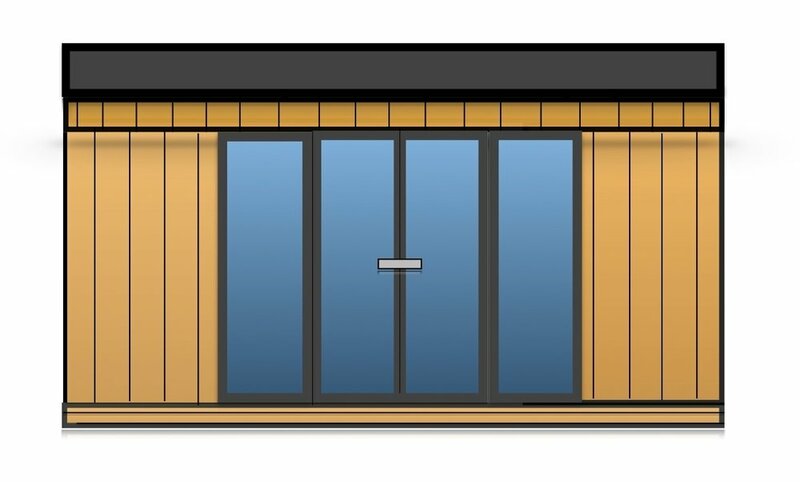 However, we recommend that you check the Government’s Planning Portal online before starting any work on a garden pod to ensure you comply with the rules. The planning portal refers to garden rooms as outbuildings. Extra Power Sockets – add pre-routed electrical socket for more power outlets. Choose a double frame window pack with 1800mm wide doors in anthracite on white fully double glazed units. For a free quote please do not hesitate to contact us. We can arrange for one of our friendly sales team members to come to your home and talk you through the process of having your very own Eco Garden Pod. The installation process usually takes 4-5 days by our hardworking and professional fitting teams. For more information please contact us. — Sarah Chapman. St Albans. Choose the perfect colour and design that’s just right for your garden. Pick from 4 colour options in our standard or wood grain finish. New tech wood decking light grey mixed with charcoal finished off with decking lights. All of our rooms have a breathable membrane system installed and all timber is treated. Our roofs are finished off with a nice matt grey finish that offers a 20 year warranty with the help of Firestone EPDM products. The room can be decorated to suit your lifestyle. It can be used as a chill out area, dining room, home gym or almost anything! Lighting gives your room a perfect finish. We have a range of styles to suit your building and your requirements.